Boys soccer coach Dave Greene takes a picture with four of his players and girls soccer captain Morgan Wiese at the MACS All State Banquet. Greene was honored as the MACS Coach of the Year for the first time in his 40 year career. 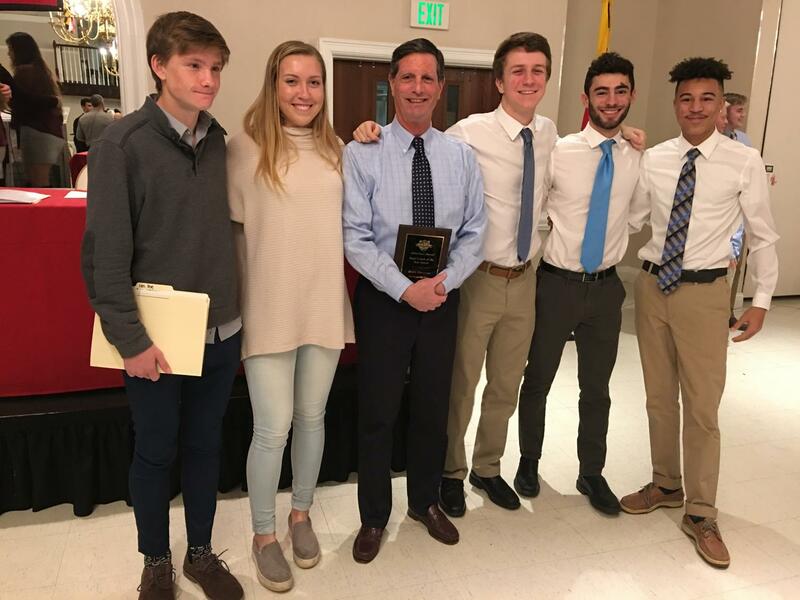 Boys varsity soccer coach Dave Greene was named the 2018 MACS Richard Bartos Memorial Boys Coach of the Year—an honor given to the best coach in Maryland each year— Feb. 5. Green was presented with the award at the MACS All State Banquet. After 40 years of coaching and 10 state championships, this was just Greene’s first time receiving this honor. While Greene was proud to personally receive the award, he believes it belongs to the entire team. The team won another state championship this year under Greene’s leadership, and it came as no surprise to his players that he received the award. Captain Natan Rosen was excited that Greene’s extra work has been recognized on a larger scale. 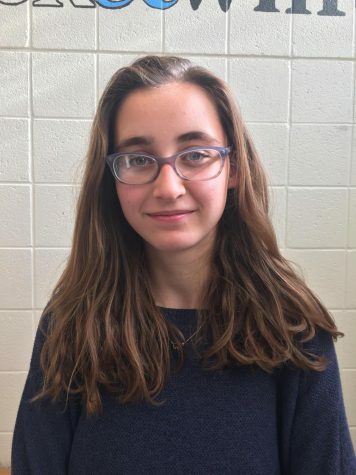 Rosen attended the event along with the three other team members who received all state recognition. For Greene, the award has inspired him to become an even better coach for his players. At the banquet, Rosen received first team all state honors, midfielders Ian Poe and Ryan Jones received second team honors, and midfielder Thomas Mande was an honorable mention. Girls goalkeeper Katie Stender-Moore and defender Morgan Wiese also both made first team all state.